When a mysterious and powerful vortex suddenly appears in various LEGO® worlds, different characters from DC Comics™, The Lord of the Rings™ and The LEGO® Movie are swept away. To save their friends, Batman™, Gandalf™ and Wyldstyle™ bravely jump into the vortex and quickly find themselves fighting to save all of LEGO® humanity. Let creativity be the guide to a building and gaming adventure – journey through unexpected worlds and team-up with unlikely allies on the quest to defeat the evil Lord Vortech. Play with different minifigures from different worlds together in one LEGO videogame, and use each other’s vehicles and gadgets in a way never before possible. LEGO® Bad Cop™ driving the DeLorean Time Machine…why not?! The LEGO® Ninjago™ Masters of Spinjitsu fighting alongside Wonder Woman™…yes, please! Get ready to break the rules, because the only rule with LEGO Dimensions is that there are no rules. This arrived on Yesterday and was SOOOOOO GOOOD! Fantastic! Booboo, Do you think that they will be selling these at the Doctor Who Festival? Yes, I thought that strange as well? I can’t see how $29.99 (Roughly £20) translate’s to £29.99 in the UK? Same for the Fun Pack $14.99 (Roughly £10) become’s £14.99 here in the UK? I can only presume it’s some twaddle over exporting to the UK or Travel Costs or some such nonsense? Not even worth buying it from abroad what with Postage Costs, Customs & PO Fees you will be paying the same anyway! The US prices don’t include VAT, so that’s a sixth of the price accounted for immediately (20% VAT makes it 120% total, so 20% of 120% is one sixth). You’ve just got to figure out where the other sixth is coming from. Actually, I messed my sums up, still works out at a sixth though. Booboo, will there be actual Doctor Who Lego sets? Any idea how much? Will it have all 13 Doctors and the Tardis? Yes, it features the regenerated twelfth doctor, eleventh doctor from series 5/6/7a and Clara from the time of the Doctor/deep breath, two daleks and a weeping angel. The set itself is the tardis interior from series 7b and features removable doors which can be folded into the tardis exterior from the smith/capaldi era. Well this is all over the place as usual? GAME (£29.99p) & Smyths (£26.99p) have this Level Pack due out on 6/11/15 whereas as Amazon have it listed for the 22/1/16? Amazon have the Fun Pack listed for the 6/11/15 whereas GAME has it listed for the 22/10/15 & Smyths has it listed for the 22/1/16? Agreed! LEGO what’s up with your Marketing Department? My guess is that it will probably be around early October around the same(ish) time as the game. 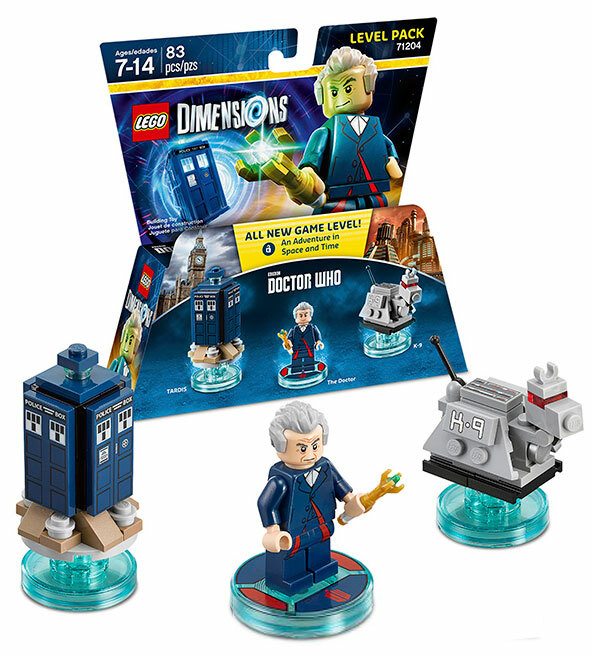 Bit expensive, but still going to get it, I love Lego and I love doctor who. The best combination in my opinion.